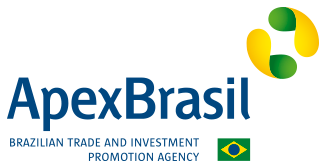 The Brazilian Agency for the Promotion of Exports and Investments (Apex-Brasil) acts to promote Brazilian products and services abroad and attract foreign investment to strategic sectors of the Brazilian economy. The Agency carries out diversified commercial promotion actions aimed at promoting exports and valuing Brazilian products and services abroad, such as prospective and commercial missions, business roundtables, support for the participation of Brazilian companies in major international fairs, visits by foreign buyers and trainers Of opinion to know the Brazilian productive structure among other business platforms that also aim to strengthen the Brazil brand. © 2016 - ABIEPAN - Brazilian Association of Food Equipment, Ingredients and Accessories Industries.